Blagojevich update US Supreme Court appeal, December 19, 2015, Order extending time to file response to petition to and including January 20, 2016, Not denied yet significant? Rod Blagojevich attorney Len Goodman filed an appeal, petition for a writ of certiorari, with the US Supreme Court on November 17, 2015. The SCOTUS then had a response indicated by December 21, 2015. This response has been extended to January 20, 2016. The Blagojevich appeal has not been denied yet. Here are some cases that have been denied. “Imprisoned ex-Illinois Gov. Rod Blagojevich asked the U.S. Supreme Court on Tuesday to hear an appeal of his corruption convictions that included his attempt to sell an appointment to President Barack Obama’s old Senate seat. The Supreme Court hears only around 80 cases a year, out of more than 10,000 requests. A decision on whether it will take on Blagojevich’s case should be made within the next few months. Blagojevich is serving a 14-year prison sentence in Colorado. A lower court tossed five of his 18 convictions in July, and he’s now asking the Supreme Court to toss the rest. An appeal to the high court is a last slim hope for Blagojevich. One of his defense attorneys, Leonard Goodman, said earlier this year that the Supreme Court might agree to look at an issue that caused disagreement at the 7th U.S. Circuit Court of Appeals: That in each case of alleged corruption, Blagojevich was participating in legal, run-of-the-mill politicking. Rod Blagojevich appeal rehearing denied, Attorney Len Goodman appeal to US Supreme Court, Resentencing next, Blagojevich exposes Obama corruption or receives pardon?, What was their deal? From Fox News August 19, 2015. “A full appellate court indicated Wednesday that it will not rehear an appeal of Rod Blagojevich’s corruption convictions, and his lawyer responded that the imprisoned former Illinois governor will appeal next to the U.S. Supreme Court. After a three-judge panel tossed out five of his 18 convictions in July, the Democrat had hoped the full court might overturn even more. But the 7th U.S. Circuit Court of Appeals posted a notice Wednesday saying not a single judge on the court asked for a rehearing. 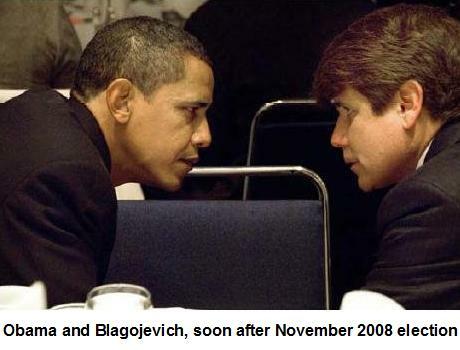 Blagojevich, 58, is serving a 14-year prison sentence at a federal prison in Colorado on convictions including his attempt to sell an appointment to President Barack Obama’s old U.S. Senate seat. An appeal to the high court is a last slim hope for Blagojevich, who proclaimed his innocence for years on talk shows, including NBC’s “The Apprentice” when Donald Trump still presided over the reality show. There’s no guarantee the Supreme Court would even agree to hear Blagojevich’s appeal. It accepts only around 80 cases a year out of more than 10,000 requests to take up a case, according to court data. It also favors cases that raise unique, weighty issues. Defense attorney Leonard Goodman, however, suggests that the Supreme Court might agree to a view that 7th Circuit judges did not agree with: That in each case of alleged corruption, Blagojevich was participating in legal, run-of-the-mill politicking. Tagged Attorney Len Goodman appeal to US Supreme Court, Blagojevich exposes Obama corruption or receives pardon?, Resentencing next, Rod Blagojevich appeal rehearing denied, What was their deal?